Lansing is located north of Ithaca in Tompkins County, and has about 10,500 residents. Many of its residents work in Ithaca. The law firm of Michaels & Smolak represents Lansing personal injury victims, including a man with a permanent and seriously injury from a rear-end collision car accident. The firm also handles legal and medical malpractice claims. The personal injury lawyers of Michaels & Smolak frequently appear in the Tompkins County Courthouse in Ithaca on behalf of their injured clients. The firm is familiar with the judges, as well as the jury pool in Tomkins County, which differs significantly from the jury pool in surrounding counties. The firm has offices in nearby Auburn, as well as in Syracuse and Liverpool, but it also frequently meets its clients at their homes in Lansing, Ithaca and surrounding areas. 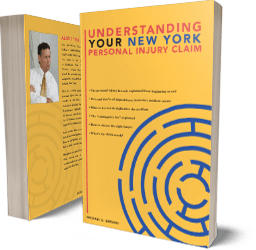 The firm tries personal injury and medical malpractice cases all over upstate central New York, including in Tompkins County. The high regard the legal profession has for Michaels & Smolak can be gleaned from the firm’s website.